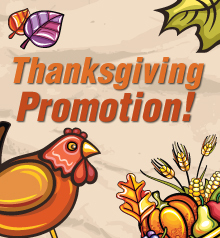 EZ Trader [read review] is offering a big Thanksgiving promotion this month. In celebration of the American holiday they will match your deposit up to 70%! You can get up to $3500 in free bonus money through this promo.